Single sign-on has been a hot category within the identity and access management marketplace. Organizations have been attracted to the ease of use it provides for end users to connect to their applications. However, many of these solutions have been designed to supplement on-prem identity management platforms. Now that more and more of IT management tools are moving to the cloud, this on-prem approach has started to lose its effectiveness. The approach that many IT organizations are searching for now is a virtual single sign-on solution, and it is available as part of a cloud-based directory. The concept of SSO really started after the introduction of Microsoft Active Directory®. Back in the early 2000’s, IT admins were implementing Active Directory in droves. It made sense, because for the most part their IT infrastructure was Windows-based and on-prem. They had Microsoft computers, printers, and all sorts of other infrastructure. Why use anything other than Microsoft to manage Microsoft products? However, this exclusivity in the enterprise didn’t last long. We now see Macs and Linux systems in the business world, both gaining popularity at an incredible rate. Simultaneously, an even more disruptive transformation has been the move away from on-prem hardware and software. The emergence of cloud apps and infrastructure has created a huge new market for players like Amazon and Google. The impact is so comprehensive that nearly every major application and service is now offered through the cloud. As these trends gained momentum, IT has had to weather the storm. Admins in conventional environments needed a way to manage access to the wide variety of web applications in use at their organization. In order to address this challenge, a wave of web application SSO providers emerged that worked in tandem with existing, on-prem identity providers. While addressing the immediate need, these solutions still came with difficulties of their own. There were a number of challenges to this first wave of SSO solutions. One was that many of them started on-prem and required additional hardware, software, and management on top of their existing identity provider. The second major issue was that you still needed to have Active Directory, adding more complexity to the infrastructure. Both of these challenges were manageable, but were not the ideal solution that IT admins were looking for. As time has gone on, more and more IT resources have made the move to the cloud. Factor in the shift from Windows to Mac and Linux systems, and it became clear that a foundational change would be needed. Instead of the surface-level fix that the first generation of SSO provided, IT admins today are seeking a single sign-on solution that extends beyond just web applications, and includes systems, servers, storage, applications, and networks. 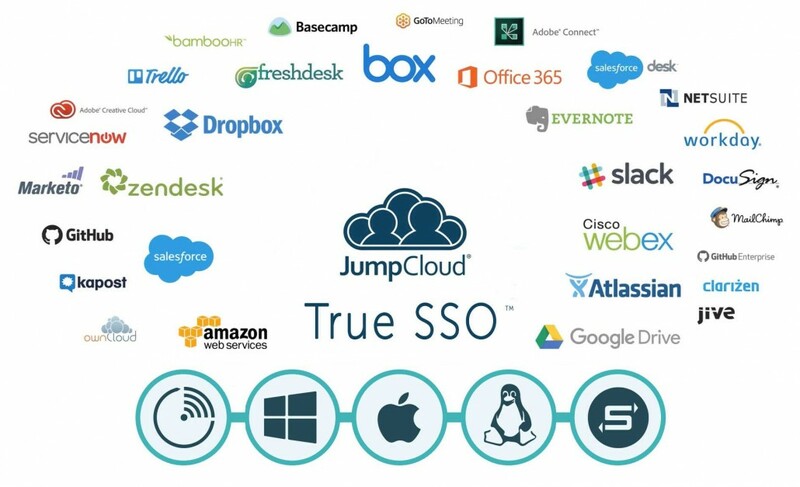 A first generation IDaaS platform, or web app SSO solution, isn’t enough. A new generation of virtual single sign-on platforms is emerging, and it is securely connecting user identities to all of the IT resources that modern users need. 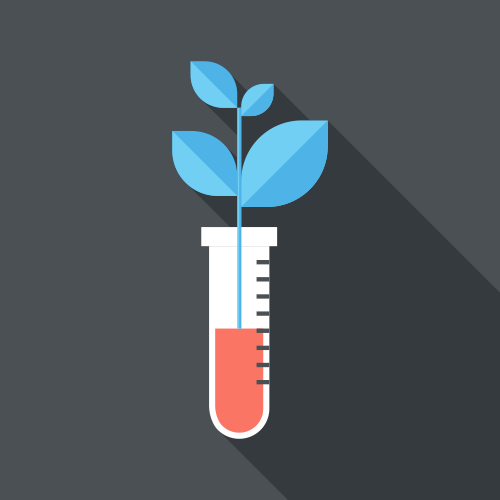 This is done regardless of the platform, provider, protocol, or location. This solution, called Directory-as-a-Service®, is effectively an organization’s True Single Sign-On™ solution that leverages one identity to connect to systems (Windows, Mac, Linux), web and on-prem applications (via LDAP and SAML), cloud and on-prem storage systems (such as Samba file servers, NAS appliances, Box / Dropbox, and others), wired and WiFi networks through RADIUS, and cloud and on-prem servers (e.g. AWS, Azure, GCP, and on-prem). It grants IT admins a method to give end users easy access, while maintaining easy management at the same time. 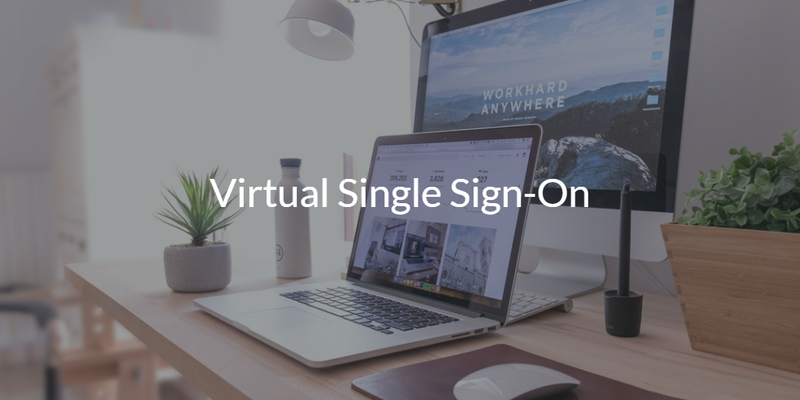 If you would like to try out virtual single sign-on capabilities for yourself, feel free to sign up for a free account. Your first 10 users of the Directory-as-a-Service offering are free forever, with no credit card required, so there’s no reason not to give it a shot. Check it out for yourself today. If you ever have any questions about how the cloud-based directory works, please reach out to us. We would be more than happy to answer any questions that you may have.